If your gutters are in need of repairs or gutter cleaning in the King County area, our expert gutter technicians provide the best service and get the job done quickly and efficiently. We are familiar with numerous neighborhoods all over Seattle; Ballard – Sunset Hill, Beacon Hill, Broadmoor, Green Lake, Laurelhurst, Magnolia, Queen Anne, South Lake City, and other Seattle neighborhoods and blocks requiring restrictive housing covenants because of the age of the buildings and architectural styles as far back as the late 1800’s and early 1900’s. Continuous rain gutters are the most popular rain gutters in Seattle and throughout the United States. Continuous gutters have no seams, which provides a better appearance and reduces the risks of leaks. We offer continuous rain gutters in high quality copper, steel and heavy gauge aluminum for durability and beauty that will last for years. 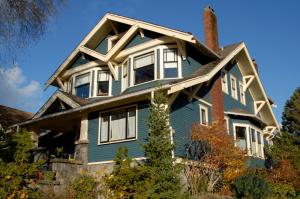 Older style roof-lines are not just unique to Seattle, you will find in this same architecture throughout the Pacific Northwest, in cities and suburbs of Tacoma, the areas of Bellevue, Kirkland and Redmond; even smaller towns such as Puyallup, Sumner and Bonney Lake to name a few. Standard rain gutters provide quality gutters in Seattle at the a competitive price. We offer high quality standard gutters with hand finished corners and a baked on enamel finish. These gutters are available in a wide selection of colors and leaf screens are available in several styles. You can find more information on the styles and colors available in rain gutters and rain gutter downspout. You will find something in today’s selection of quality gutters to fit the color and design of every home no matter the architectural history and design. You can view half round gutter in Seattle and all six available shapes of gutters to find the shape that best fits your preferences and the style of your home. With several standard color options, there is something perfect for your home. 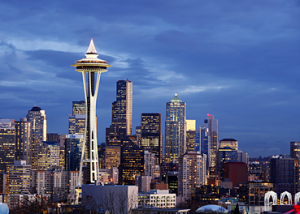 At CR Gutters, we offer a free estimate for residents and business owners all of Seattle. We love old-style architectural history and design; updating your property and preserving it’s value is our number one goal. Please browse our website for more information about standard and continuous rain gutters in Seattle. Contact our office for answers to your questions or to request a free estimate at your home.